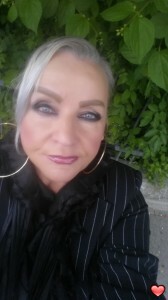 I'm a Germann Woman looking for an American man.I'm a littel bit older,but that can not be the problem.My hair is blond and my Eyes are blue.I have a few extra pounds,but right now I'm ready to loose it.I use to live in the United Staats for a long time and I have noticed that I get along better with an American man. Looking for a good looking older Gentleman.He should be tall and not to much overweight.What is really important to me is the Hygiene.I do not like dirty,bad smelling people.That is reall bad.His IQ should be very high,so that we can talk about everything and maybe he can teach me the few things I dont know yet. He should be smart and funny and very patient and always listen to me and be interestet.